This is the valley where we live. Surrounded on all sides by mountains and hills, once upon a time, this valley was submerged underwater. All waters were then drained out via a tunnel named Chingnunghut. Then habitation slowly emerged and life, as we all know of today, happened here. The bigger establishment seen on the left is the legislative assembly secretariat of the democratic people’s state which has been newly constructed and shifted in from the older one which had been burnt to ashes by an angry mob when the state’s territorial integrity was threatened by forces from within and without (long story). 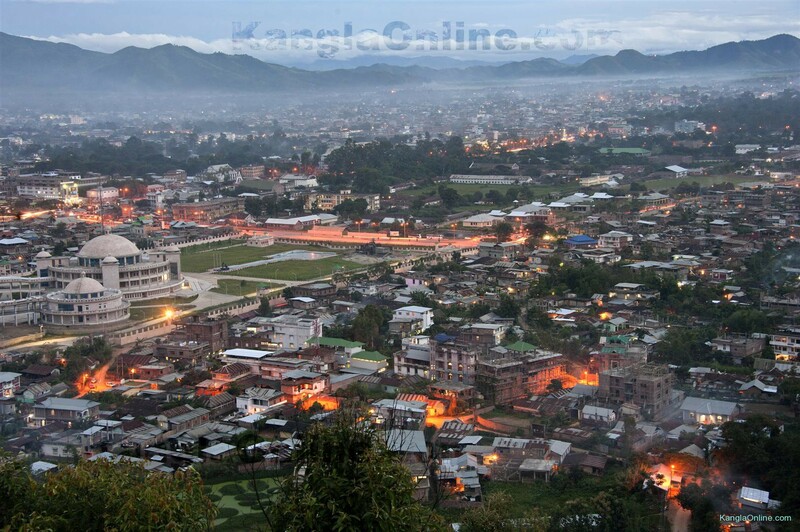 Also referred to as Manipur Valley, surprisingly, it’s area is a mere one tenth of the total area of this hilly state. Previous articleWhat is expected from the new Governor of Nagaland!